Prosecutors believe Ghosn was trying to deal with losses on paper of 1.85 billion yen ($16.6 million) incurred on a swap contract he had with a bank. Fresh misconduct allegations brought by Tokyo prosecutors against ousted Nissan Chairman Carlos Ghosn center on the use of company funds to pay a Saudi businessman who is believed to have helped him out of financial difficulties, two company sources with knowledge of the matter told Reuters. Prosecutors arrested Ghosn for a third time on Friday, accusing him of aggravated breach of trust in transferring personal investment losses to the automaker. The prosecutors' statement said they believe that around October 2008, Ghosn was trying to deal with losses on paper of 1.85 billion yen ($16.6 million) incurred on a swap contract he had with a bank which it did not name. A person helped arrange a letter of credit for Ghosn and a company run by the person later received $14.7 million in Nissan funds in four installments between 2009 and 2012, the statement said, adding that the payments were made in Ghosn's and the person's interests. According to the Nissan sources who have knowledge of the company's probe into its former chief, the person who helped Ghosn is Khaled Al-Juffali, vice chairman of one of Saudi Arabia's largest conglomerates, E. A. Juffali and Brothers, and a member of the board at the Saudi Arabian Monetary Authority. Sheikh Khaled Juffali has no comment on this subject, according to an emailed statement from E. A. Juffali and Brothers. Ghosn's Tokyo-based lawyer, Motonari Otsuru, was unavailable for comment on this article, according to a person who answered the phone at his law office. A representative for the Ghosn family declined to comment. 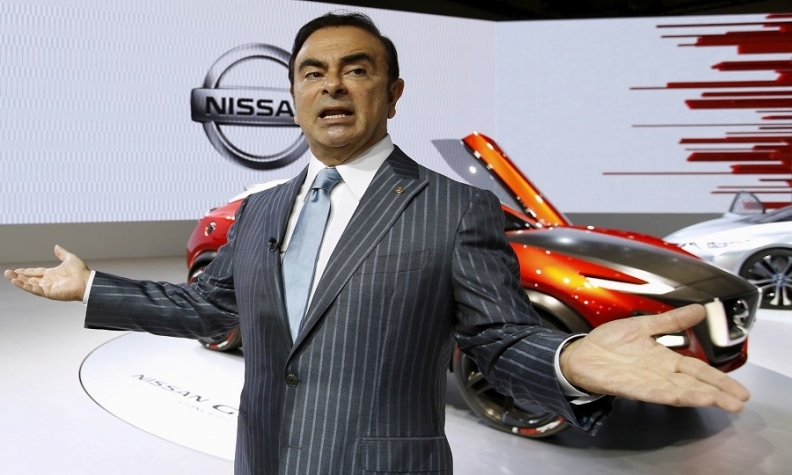 Other media have said Ghosn has through a lawyer denied that he shifted losses to Nissan and has told investigators that the four payments were for legitimate business purposes, including a reward for handling problems at Nissan dealers in Saudi Arabia. 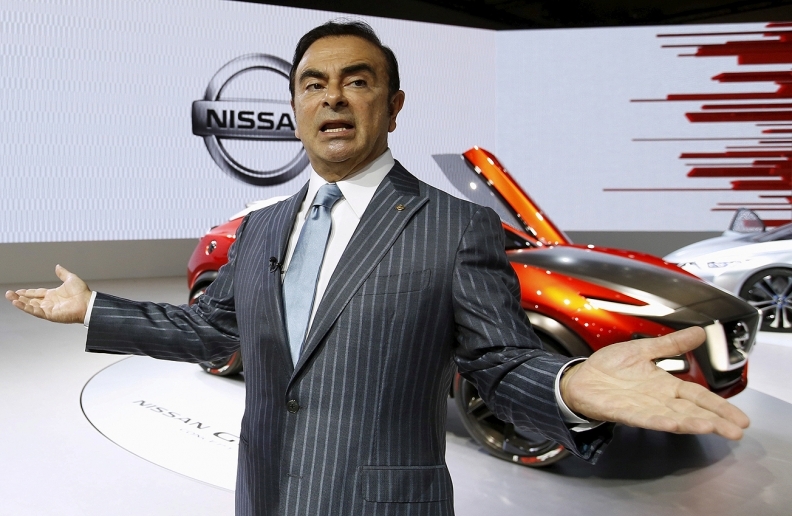 Ghosn's re-arrest -- the latest twist in a saga that has jolted Nissan' alliance with France's Renault SA -- came a day after a Tokyo court unexpectedly rejected a request from prosecutors to extend Ghosn's detention. Unlike his previous arrests on allegations of under-reporting his compensation which he faced together with former representative director Greg Kelly, prosecutors have leveled these latest accusations against Ghosn only. Japan's Securities and Exchange Surveillance Commission had at some stage flagged Ghosn's attempt to have Nissan directly shoulder the losses as illegal, one of the sources said. It was not immediately clear what the SESC deemed illegal. A SESC spokesman said he could not comment on specific cases. Nissan fired Ghosn as chairman on Nov. 26, a week after he was arrested by Japanese prosecutors, accused of conspiring to understate his compensation by about half of the 10 billion yen ($88 million) awarded over five years from 2010. He was indicted this week and remains in detention. The four payments arranged by Ghosn were made through a Nissan internal discretionary fund, known within the company as the 'CEO Reserve', to a Nissan unit which then paid a company owned by Al-Juffali, one of the sources said, without specifying the names of the companies. The first payment of $3 million was made in fiscal 2009, followed by payments of $3.6 million, $3.9 million and $4.2 million in the three subsequent years, the sources added. E. A. Juffali and Brothers was founded in 1946. The company set up electric power supply and telecommunications to some of Saudi Arabia's major cities and expanded into construction, insurance, vehicle manufacturing and distribution. Kelly was released on bail late on Christmas day but Ghosn remains in detention. After the latest allegations, prosecutors were granted permission to hold him for 10 days on Dec. 23 and will typically ask for another 10 days, which is usually approved.